Data-entry fields let you collect information from learners, which is stored in variables, can be adjusted with triggers, and displayed on any slide or layer in your course using references. Go to the Insert tab on the ribbon and click Controls. Choose either Text-Entry Field or Numeric-Entry Field. 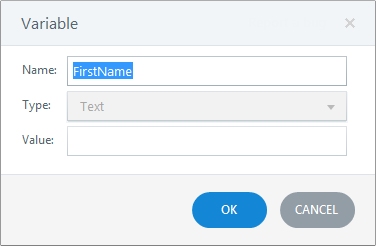 Text-entry fields accept alphanumeric characters. Numeric-entry fields accept only numbers, decimals, and hyphens (for negative numbers). Customize the instruction text in the field. 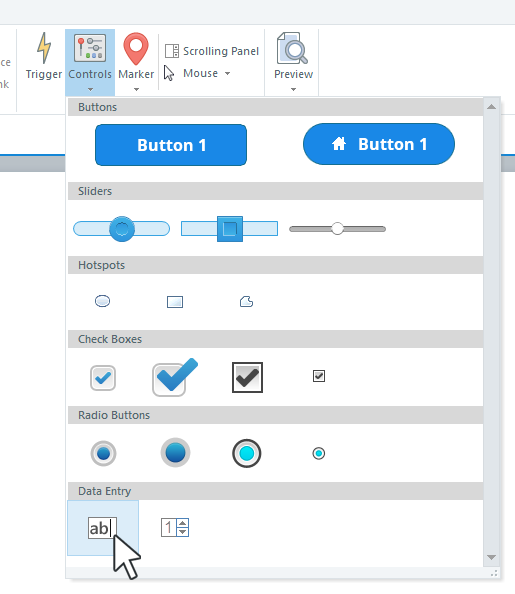 When you create a data-entry field, Articulate Storyline automatically creates a variable to hold the data and a trigger to set the value of the variable to whatever the learner types in the field. Right-click it and select Rename. Double-click it in the timeline to open its name for editing. Double-click the variable you want to rename, or select it and click Edit. Tip: You can apply some additional formatting to the instruction text in the data-entry field—bold, italics, underline, highlight color, and even bullets. However, these formatting options won't apply to the data that learners enter in the field. To delete a data-entry field, select it and click the Delete key on your keyboard. When you delete a data-entry field, it's corresponding variable and trigger will also be deleted. Since data-entry fields store learners' input in variables, you can display the values of those variables anywhere in your course. For example, let's say you use a text-entry field to ask learners for their names at the beginning of the course. 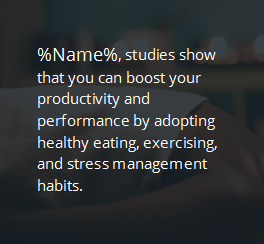 You can then use variable references to personalize content with their names throughout the rest of the course. Just add a variable reference to any text box, caption, shape, or button. Since the data that learners enter is stored in variables, you can use triggers and conditions to perform actions based on that data. And if you're using a numeric-entry field, you can even perform mathematical calculations on the value that is entered. See this tutorial to learn how.